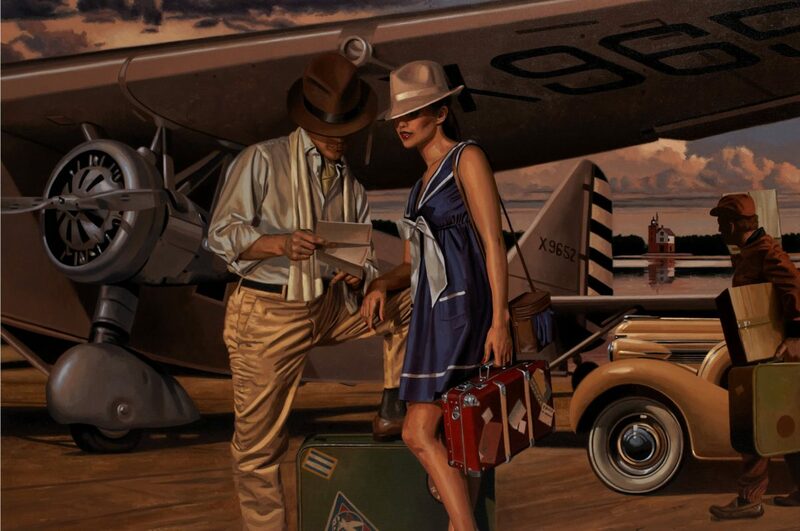 Peregrine Heathcote’s paintings conjure a world of intoxicating glamour and intrigue, slipping across the boundaries of time to fuse iconic pre-war design with modern conceptions of beauty and silver screen era romance. 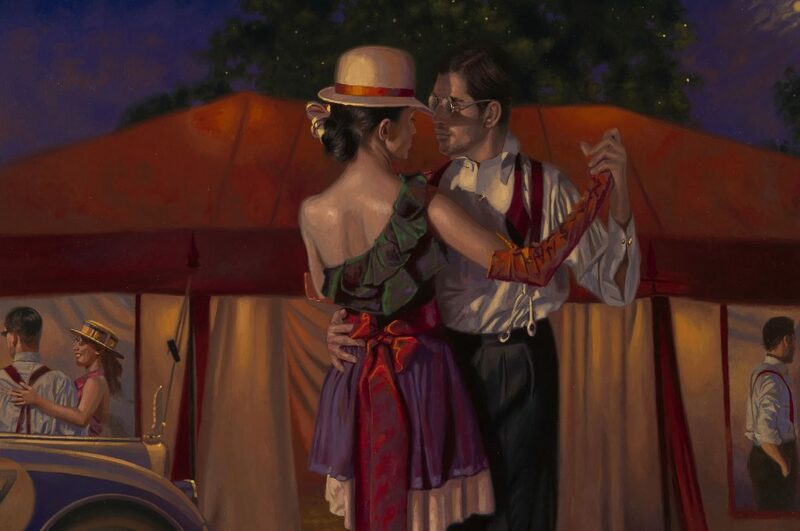 Silver screen era romance, contemporary concepts of beauty and pre war design. 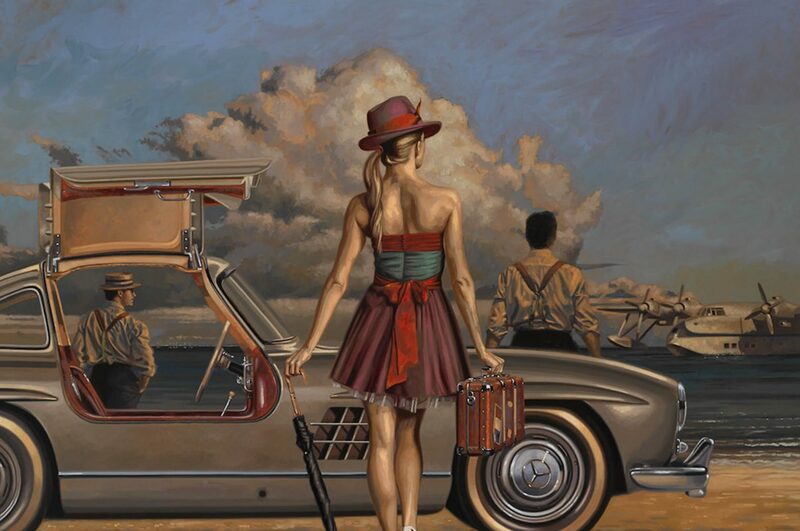 Take refuge in the world of Peregrine Heathcote. 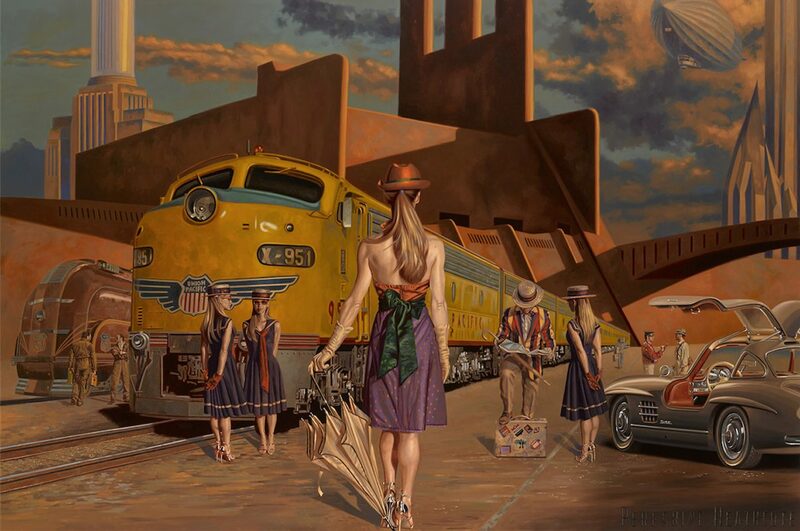 Peregrine Heathcote has painted many portraits of Captains of industry, Film Personalities, Lords, Ladies and loved ones. If you have an interesting project he’d be happy to discuss it. Look through a selection of Limited Edition Giclee Prints for sale on Archival-grade museum paper. Each picture signed and double studio-stamped for authenticity.